This week's Sneak Peek Tuesday item is the Urban Jacket. The black jacket comes with a black and red scarf, brown hat and jeans. 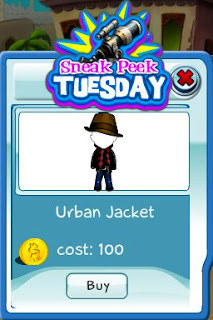 It's a complete outfit for the urban hipsters in SecretBuilders.